A big thank to all our participants, sponsors and partners!!! 149 participants, 28 teams, 3 days later... aaaaand it's wrap! Congratulations to these amazing teams! This team comprises of members from all walks of life, and they are glad to have met each other because of this event! They came together at the start of the event and never imagined they could win. Their solution, Botler, is a smart online chat bot with the ability to recognise customer needs, make suggestions, take orders, and even arrange for delivery! Team Mystic is made up of a group of freshmen from Computer Science, and they were coding right until they presented! 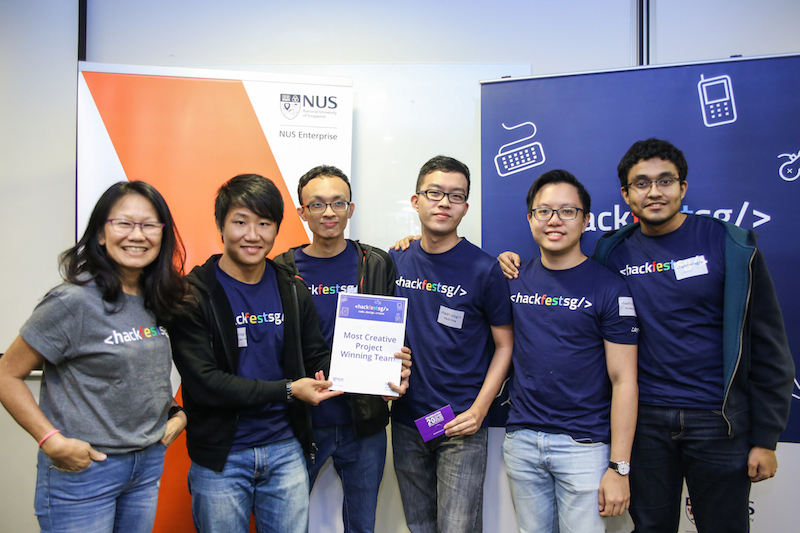 Their solution, BOT4 SCHOOL, is a Telegram chat bot targeted at NUS students. 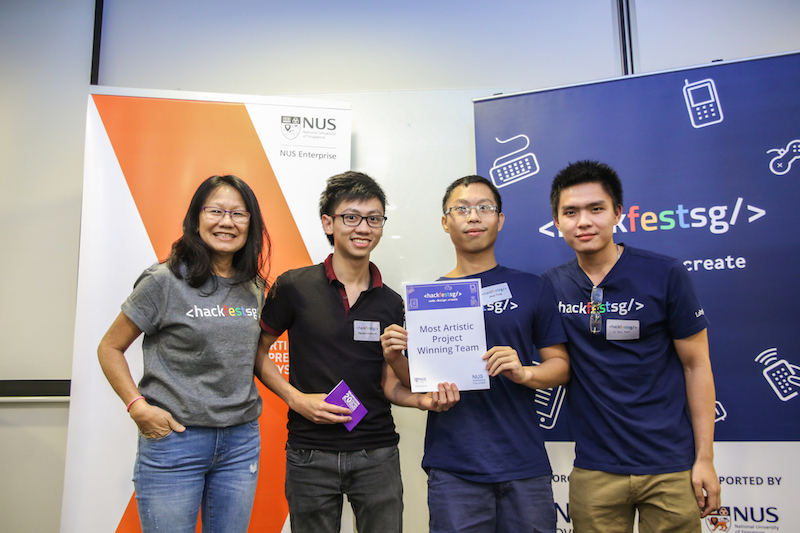 It combines IVLE API with NUS bus data to remind students of where their classes are, and suggest the best routes to get there. 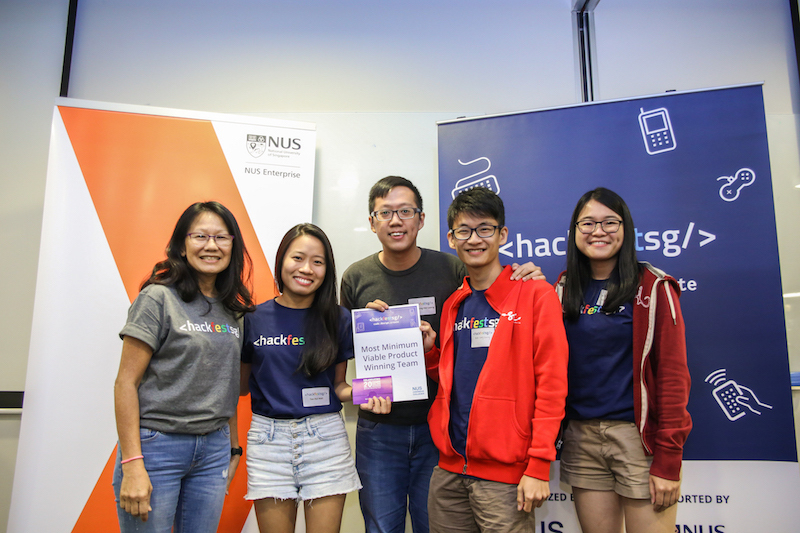 NUS students can look forward to navigating a smarter campus as the team, like the two others before them, intends to continue and realise their project. This team of ambitious youths wishes to bring cashless payments even to the hawkers! Using a combination of mobile phones, QR codes and manual entries, they created a system where customers can easily make cashless payments to small merchants without the costly infrastructure setup. MTV created an amazing program that can compose gorgeous music on the fly. The program uses artificial intelligence to learn from music data that it is exposed to, and re-creates music that sounds no different from one composed by a human. Pikachoo aims to encourage recycling amongst the young by gamifying the recycling experience. They modified a recycling bin into a recycling gym, which creates the coolest sound effects when things are binned. Items convert into points, which can then be used to compete in leader boards and redeem for vouchers. ABI created a brand new musical instrument using the Gemsense sensors, Amber. Although difficult to control, this Most Useless Solution was pretty fun to play with. 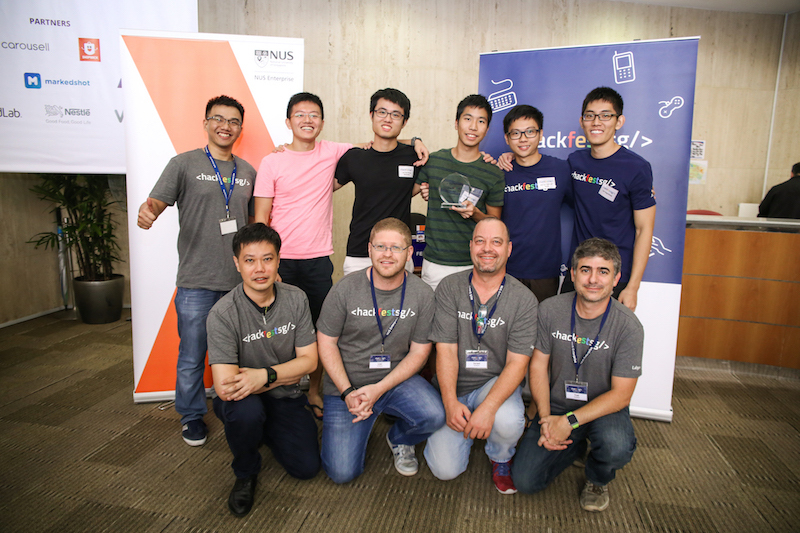 And finally, <hackfestsg/> organizers and crews! 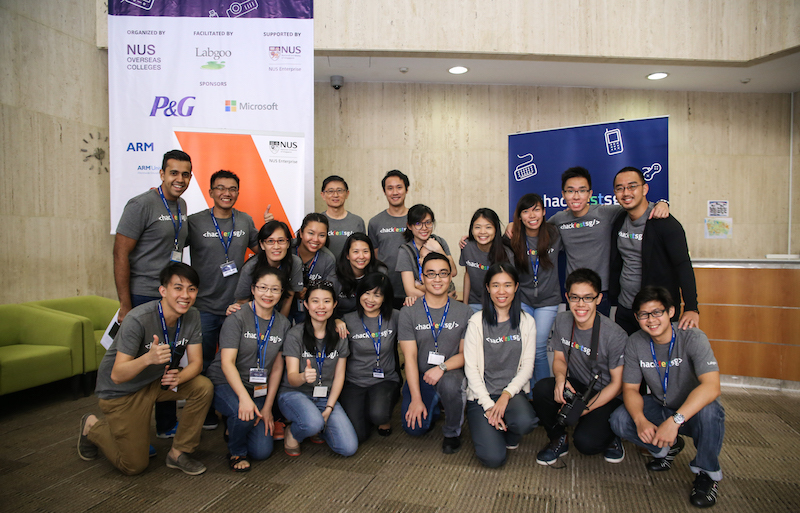 <hackfestsg/> is organized by NUS Overseas Colleges and facilitated by Labgoo, with support from NUS Enterprise. A unique university program that lets students immerse in global start-up hubs including Lausanne, Munich, Silicon Valley, New York, Israel, Stockholm, Beijing, Shanghai and Singapore for six months to a year. An Israeli tech startup that teams up with entrepreneurs to create more startups. Labgoo has subsidiaries in the US (Silicon Valley) and Singapore. 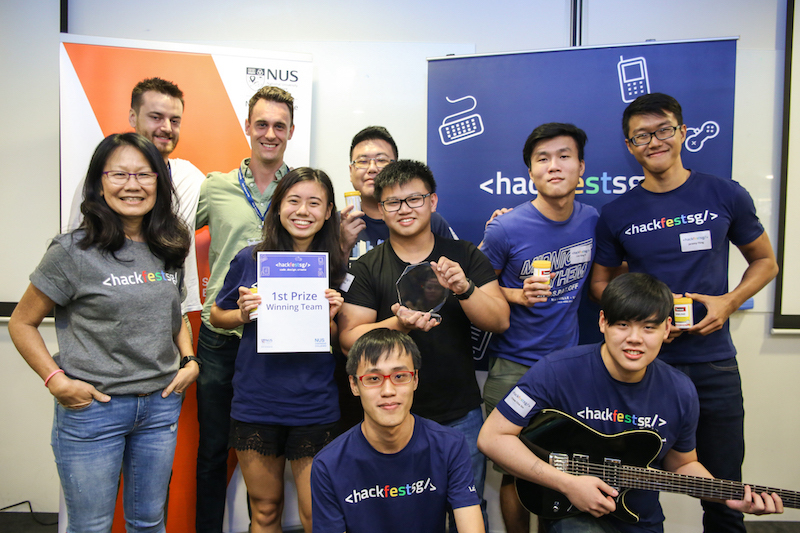 As Asia’s thought leader for innovation and enterprise, NUS Enterprise engages in active industry partnerships, and provides experiential entrepreneurial education and holistic entrepreneurship support for the NUS community. We’re honoured to have 8 amazing industry experts who will be your mentors for this event. Don't miss this chance to glean some kernels from their wisdom! It's not just about hacking, but about having fun! 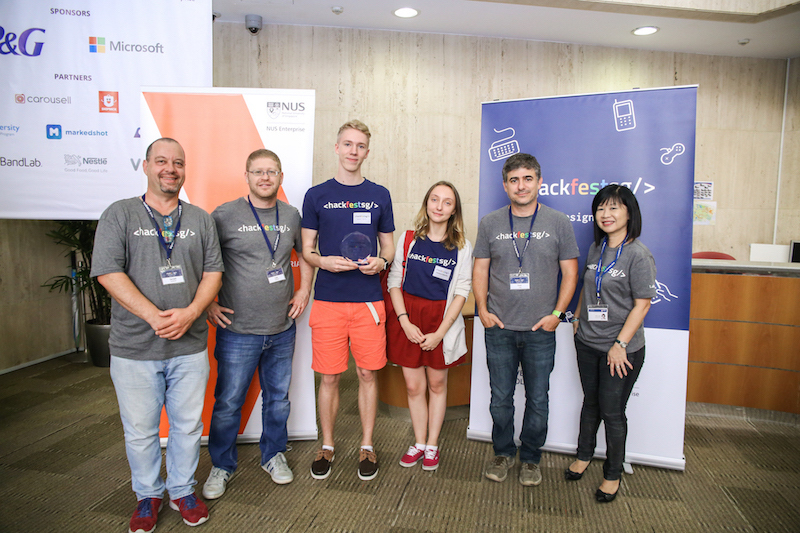 With great challenges, cool new hacking tools, and geeky hardware prizes up for grabs! With the help of our amazing sponsors, every participant will enjoy breakfast, lunch and dinner, including a BBQ and closing cocktail reception, plus a free t-shirt! We’ve secured great speakers to share their expertise with you. Join the pre-event talks and workshops. Watch your inbox for more information! or get creative with your own tools and ideas! Click here to lock in your interest for the event! We will contact you with more details on how to complete the registration process. This event is on us! However, there is a selection process, and we will contact you with more details after you have registered. Do I need a team to sign up? No, you don't! But you must have a team to start hacking. You can sign up individually and we will help you form a team during Kick Off Day. How many friends can I form a team with? At least 3 members per team. There is no upper limit! But please remember that we expect a more awesome product from a bigger team when judging. There are lots of prizes to be won! The prizes are a surprise for now... All the better to delight you during Demo Day! What happens to my creation after the event? NUS Enterprise has many programs and resources that you could tap into. Also, some of our sponsors may wish to speak with you as well! 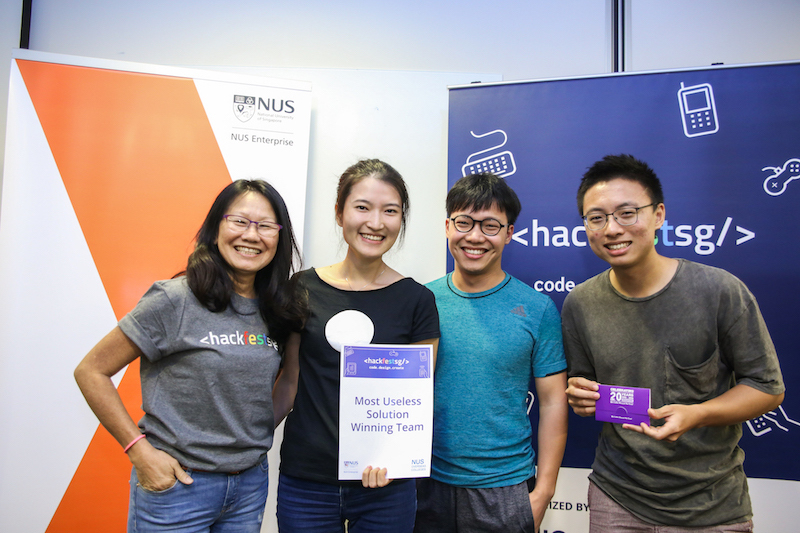 Do approach any of the NUS Enterprise staff who will be present throughout the hackathon. Who knows, you could turn your technologies and solutions into commercially-viable applications sooner than you imagine! It's gonna be a fiesta! Please read the participant agreement here. By participating in this event, you agree to adhere to the terms and conditions stated within.